June 21st marks the Summer Solstice. The longest day of the year. The official beginning of the 'dog days'. It also marks IDG's Security Day in which security practitioners and IT leaders from leading enterprise organizations will convene in 10 cities across the globe to discuss the latest trends shaping the security market and collaborate to understand how to better manage risk in today's evolving threat landscape. What makes IDG's Security Day event a truly unique event is its holistic focus on how IT security impacts business operations. For too long, information security has existed in a silo, disconnected from the initiatives that drive business success. 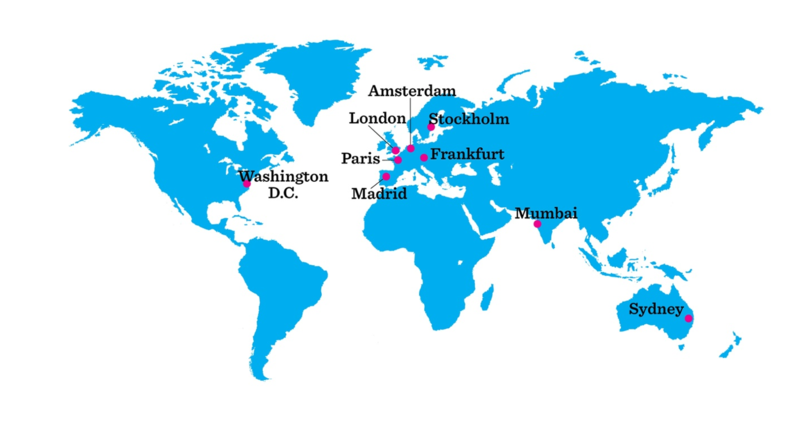 A first for the IT security industry, IDG's Security Day represents a truly global program and will ‘follow the sun’ by staging 10 events spanning multiple time zones across the world. iovation is proud to be counted as a sponsor for IDG's inaugural SecurIT Day, which will be held just outside Washington DC in McLean, Virginia. The day long event features a compelling and interactive agenda that promises to generate some provocative discussions around defining risk, managing the IT/Security relationship, implementing IoT security strategies, among others. For those of you who will be attending, we hope that you can join us at our luncheon table discussion on 'Authenticating Customers' at 12 PM. Happy Summer and we look forward to seeing you in DC!